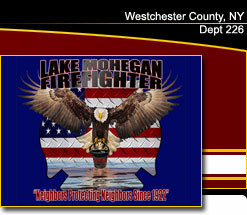 On Tues 3/12/19 at approximately 6:20pm, Mohegan FD was dispatched for to a reported dryer fire on Lockwood Rd in Cortlandt. 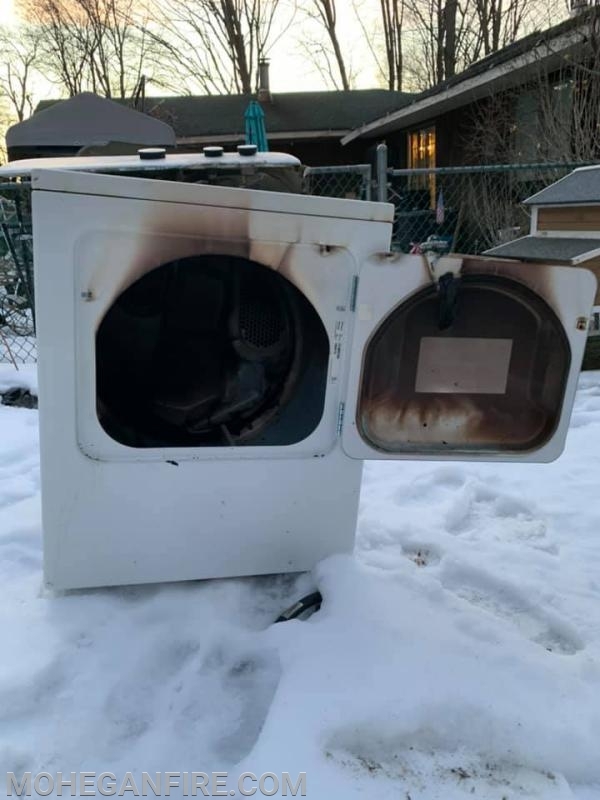 Upon arrival, members found an active dryer fire, with the fire contained inside the dryer, and a smoke condition throughout the residence. Members quickly knocked down the fire by using two 2 1/2 gallon water fire extinguishers, while other members set up an exhaust fan from Ladder 35 to ventilate the smoke from the residence. Once the fire was knocked down, members removed the burning clothing to the exterior to fully extinguish the fire. Members then checked for extension using a thermal imaging camera and had to open up a wall to check for further fire spread. 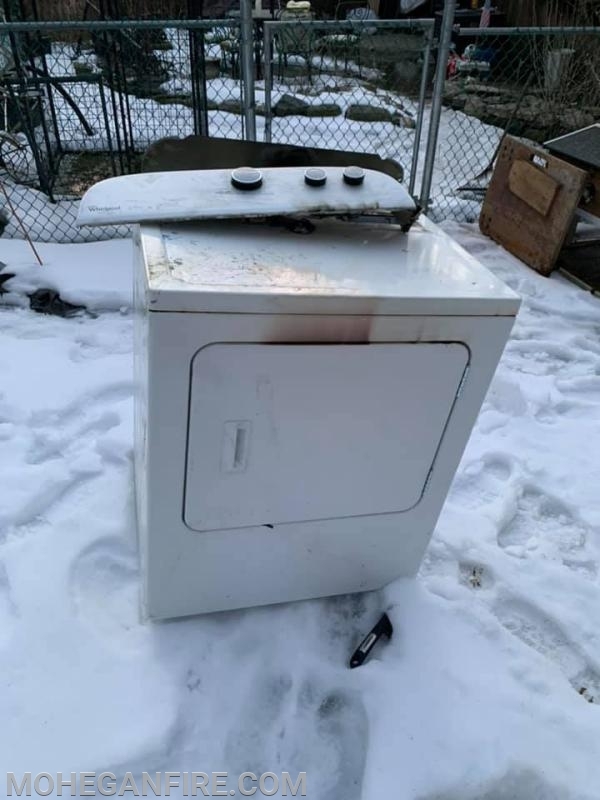 Members also had to remove a door frame in order to remove the dryer from the residence. 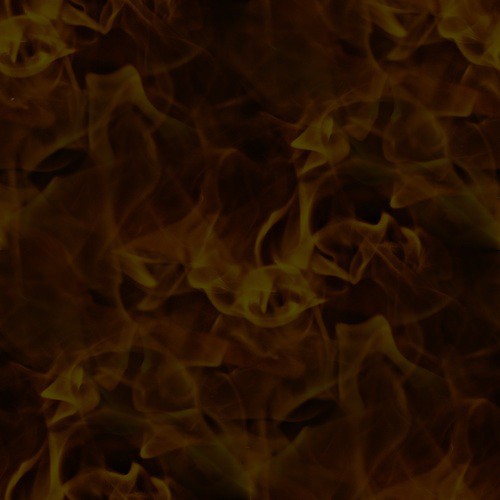 During overhaul, members found no fire extension. All units cleared the scene by 7:30pm. Units on scene were Car 2263, 2269, 22610, Engine 256, Engine 258, Ladder 35, Rescue 32, Utility 18, and Utility 80. Our Fire-Police members closed Lockwood Rd to traffic during this incident.